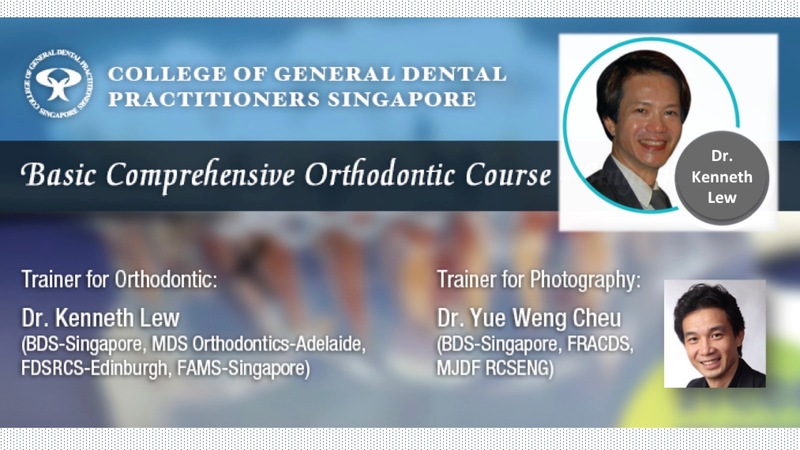 This basic course aim aims to help GPs better understand orthodontics and its parameters of treatment, engaging GPs to proactively diagnose, treat and refer complicated cases to Orthodontic Specialist for orthodontics treatment. We encourage participants to attend all 4 modules listed as it has been carefully structured for GPs to have holistic understanding of the type of orthodontic care possible in general practice with special emphasis on the treatment of our predominantly Asian Community. Registration is on a first come first served basis and will be valid only upon full payment. If payment is not received within 4 weeks of registration, the seats will be released to other participants. CGDP reserves the right to amend any part of the programme, cancel or postpone the programme, change the venue, date and )me of the event without any prior notice. There will be NO refunds for cancellations or non-attendance. For undergraduates attending the lecture only: Please submit a front copy of your matriculation card for verification.